Brian McLaughlin has been forced to make two changes from last week’s starting XV as his side travel to the RDS on Saturday to play Leinster in the Magners League. Second row Johann Muller sustained a dead leg against Northampton in the Heineken Cup quarter final on Sunday, while wing Simon Danielli picked up a shoulder injury. Tim Barker and Craig Gilroy are promoted from the bench as direct replacements. Neil McComb and Conor Gaston replace Barker and Gilroy on the bench and are joined by Darren Cave who returns at the expense of Ian Whitten. Ulster have won their previous six Magners League outings but have not beaten Leinster in Dublin since 1999. Leinster defeated Leicester to progress to the semi-finals of the Heineken Cup last weekend but are not expected to rest many players for this crucial game. 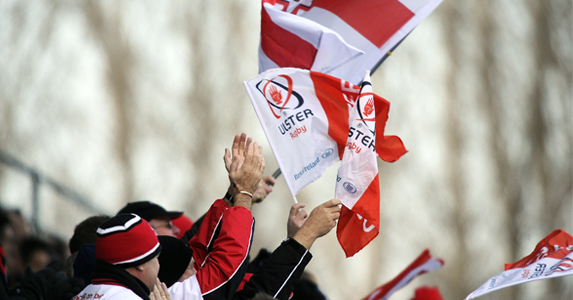 The Ulstermen currently occupy second position, three points ahead of their fourth-placed Irish rivals. Defeat for either side would be a major setback as both teams are chasing a top four play-off spot. A Kyriacou, P McAllister, B Young, N McComb, W Faloon, P Marshall, D Cave, C Gaston.